Let me tell you about Ed Thomas. He's probably (and maybe slightly unjustly) best known for his involvement in Chase & Status' 2014 single (released on Brand New Machines, 2013) 'Blk & Blu', which if you ask me is one of the best songs on that album. The Zed Bias remix is great too just FYI. Shortly after that Thomas released his Outlaws EP which is absolutely stunning, so much so that it made it on to my favourite EP's (of which there were only five) of 2014. You can actually still download it for free here it would seem. 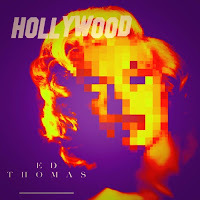 After releasing his heart-wrenching single 'Love Is Red' back in January, Thomas has finally given us something a little lengthier to get our teeth into in the form of new EP Hollywood. I know what you're thinking, "Hey Natalie, there is absolutely no doubt that you wouldn't consider the songs that Ed Thomas writes as ballads, so what's the deal?" Well... the deal is that I think Ed Thomas' voice is spectacular (can you tell I used a thesaurus?) and I think he puts a really interesting yet subtle spin on RnB. The Hollywood EP is three tracks long and it's the final song that, personally, I think really stands out. 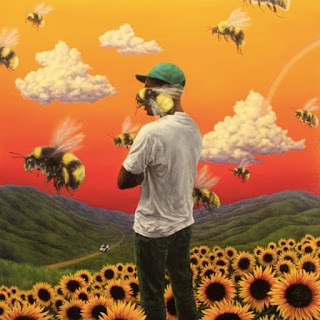 As is easily concluded 'Swim Alone' is the most upbeat of the three tracks and it has a really cool slow burn build to the chorus which may or may not but probably will whack you right in the feels. I really hope that Ed Thomas' own material doesn't take a backseat for as long next time because the standard set by this material is too high to not be given the attention it deserves. I have no idea how much sense that last sentence makes, but there we go.